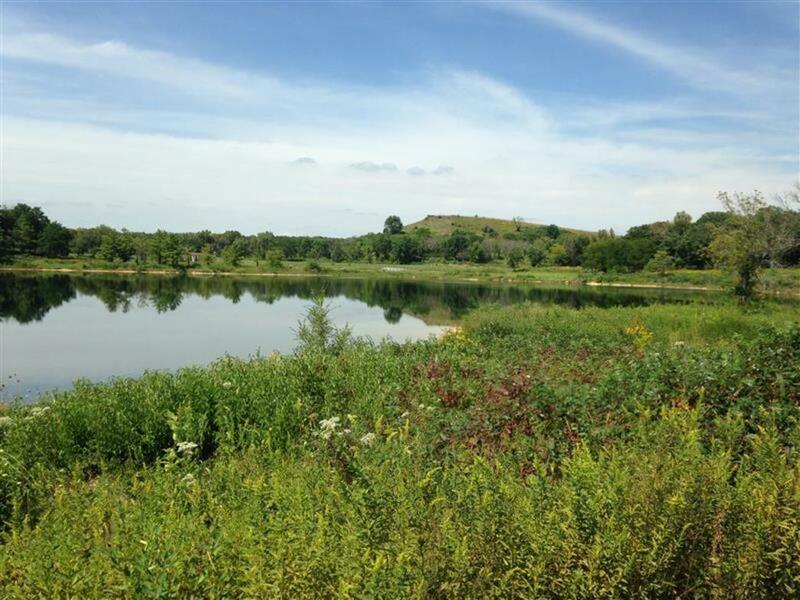 Blackwell Forest Preserve is part of a wide swath of green space that surrounds Butterfield Road in Wheaton and Winfield. 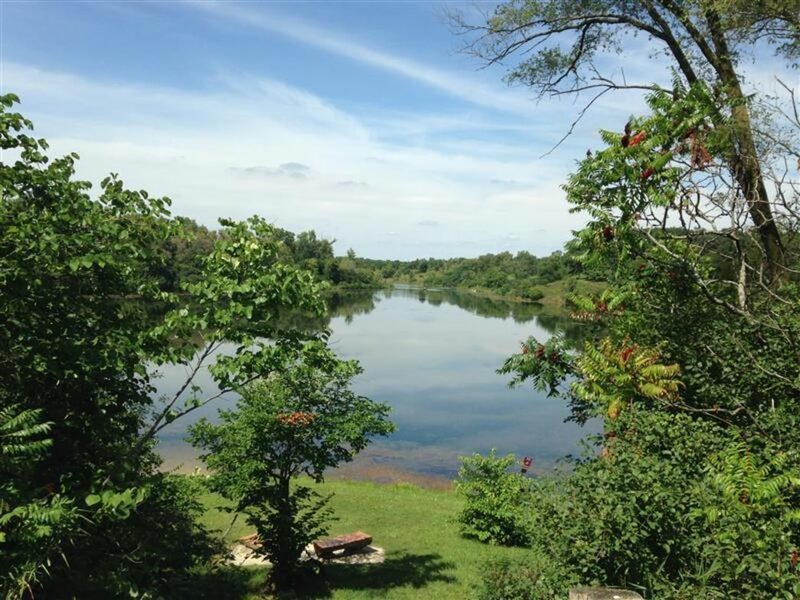 Blackwell, Warrenville Grove, St. James Farm, Herrick Lake and Danada are all connected by trails. Blackwell offers the most to do among the forest preserves, and is a popular destination for camping, fishing, boating, archery—even tubing down the 836-foot Mt. Hoy in the winter. On Silver Lake, a wide boat launch makes it easy to drop-in both canoes and kayaks, with plenty of parking nearby, including for trailers. 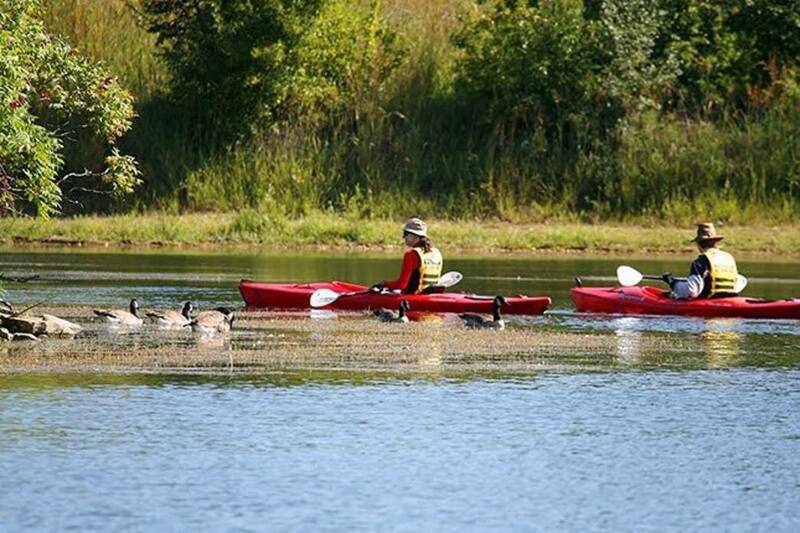 Keep in mind that the forest preserve requires that all canoes and kayaks be registered with the Illinois Department of Natural Resources. (You need to do this to paddle on any Illinois waterway, but park rangers here are diligent about checking.) 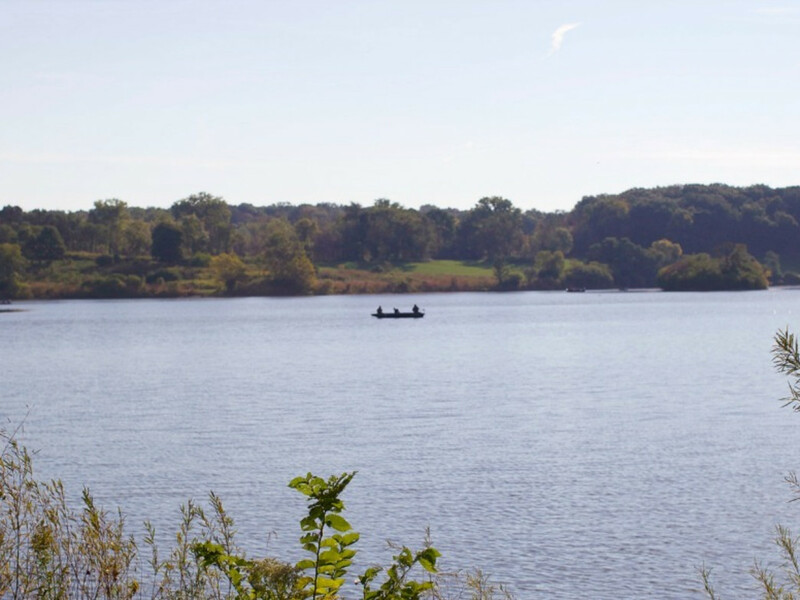 You’ll also need to purchase a DuPage Park District daily or yearly permit to boat on Silver Lake ($7/day or $35 for the year), and rangers check for that as well. You can rent canoes, kayaks and boats with an electric trolling motor by the day or by the hour in season. The lake is shaped almost like two lakes, with large upper and lower sections, connected by a narrower channel. In the upper section, there’s a small island. It doesn’t take too long to explore the whole lake, but it’s a perfect destination for families looking for a short and easy paddling outing. There are plenty of picnicking facilities surrounding the lake, and two fishing piers give kids a place to drop a line when others may be in the boat. You can also access the western branch of the DuPage river from Blackwell, although from a separate entrance on Mack Road. There is no fee to launch in the river, and when the current isn’t too strong (which is much of the year), it’s fairly easy to paddle up and down stream from the drop-in spot. In the summer, the water level tends to fall and make navigation a bit trickier. Families, fishermen and anyone looking for an easy way to launch their canoe and kayak. Parking at the Blackwell Forest Preserve is easy, with entrances and parking lots from both Butterfield Road and Mack Road Road. Like all DuPage County Forest Preserves, Blackwell is open from one hour after sunrise to one hour after sunset.